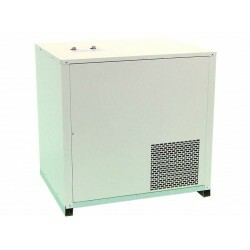 The IC8 Compact Remote/under-sink chiller is designed for use with Single, Twin, Triple and Reverse Osmosis water filter purification systems. It can be conveniently installed under a sink or bench or anywhere that suits. Suitable for domestic or small office applications. Cabinet: The I.. The IC20 Commercial Remote/under-sink chiller is designed for use in high volume commercial applications and is compatible with Single, Twin, Triple and Reverse Osmosis water filter purification systems. 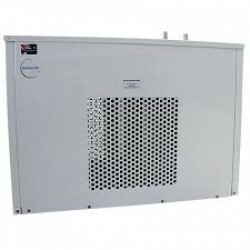 Suitable for commercial applications. Cabinet: The IC20 is constructed of "Galvalume..
IC1000 High Capacity Chilled water on demand for a schools, sporting venues/clubs, function centres, construction sites, mines, public access area that requires a high demand of chilled water! 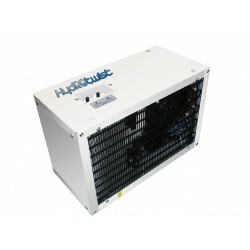 The IC1000 water cooling and storage system provides enough cold water to cope with the most extr..